Incrediwear’s revolutionary active recovery wear fabric is embedded with the semiconductor elements bamboo charcoal carbon and/or germanium. Once the Incrediwear fabric touches your skin, body heat activates the semiconductor elements releasing negative ions through the body causing cellular walls to vibrate. 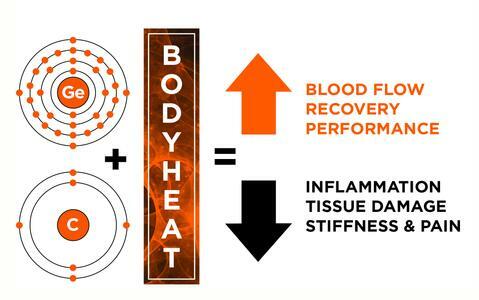 This cellular change in energy increases blood flow and blood speed resulting in more oxygen being delivered to the affected area which promotes faster recovery, while reducing pain and inflammation naturally.